All Hallows Eve is upon us and you know what that mean: tricks, treats, scary ghouls and scary movies. However, if being terrified is not exactly your thing then fear not, for we here at CMH have the thing for you. 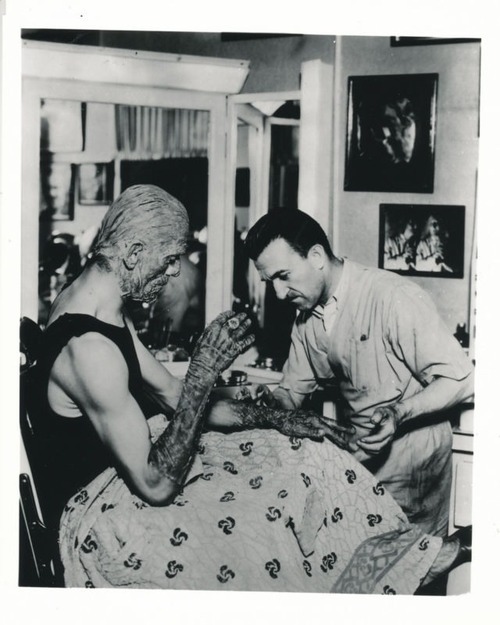 Below are some behind-the-scenes pictures of our favorite classic movie monsters. Once you’ve seen them like this, you’ll never fear them again…maybe. Nothing much going on here. 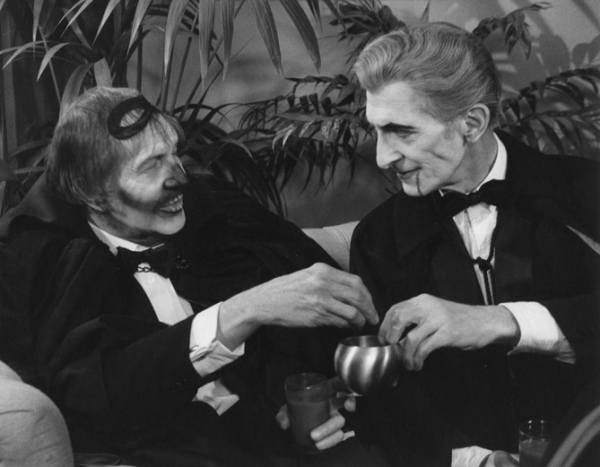 Just Dracula chattin’ with the in-laws at his local Gentlemen Club. I believe the topic of the night was gardening. The Wolfman’s weekly perm. 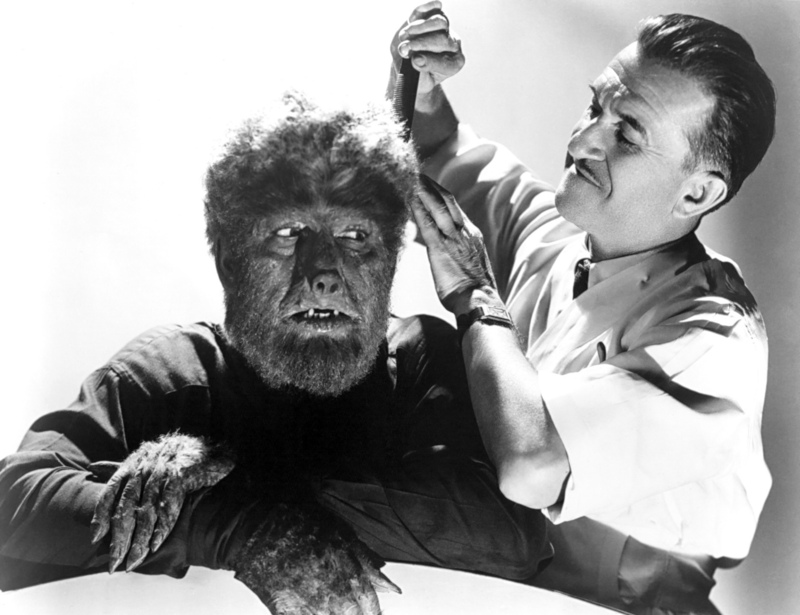 Just because you’re a lycanthrope doesn’t mean giving up on personal grooming. 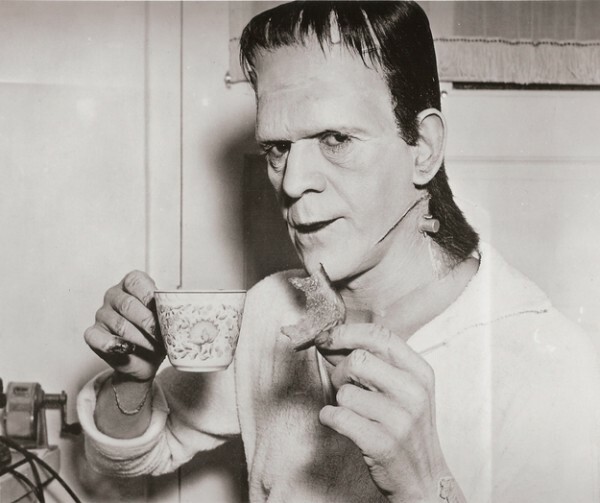 Even the Frankenstein Monster enjoys his afternoon tea. What do you take him for, a barbarian? The Mummy covering an old tattoo. I told him “Ankh-es-en-amon Forever” might not be such a good idea. Dude, I’m not sure Vincent Price even knows where he is. 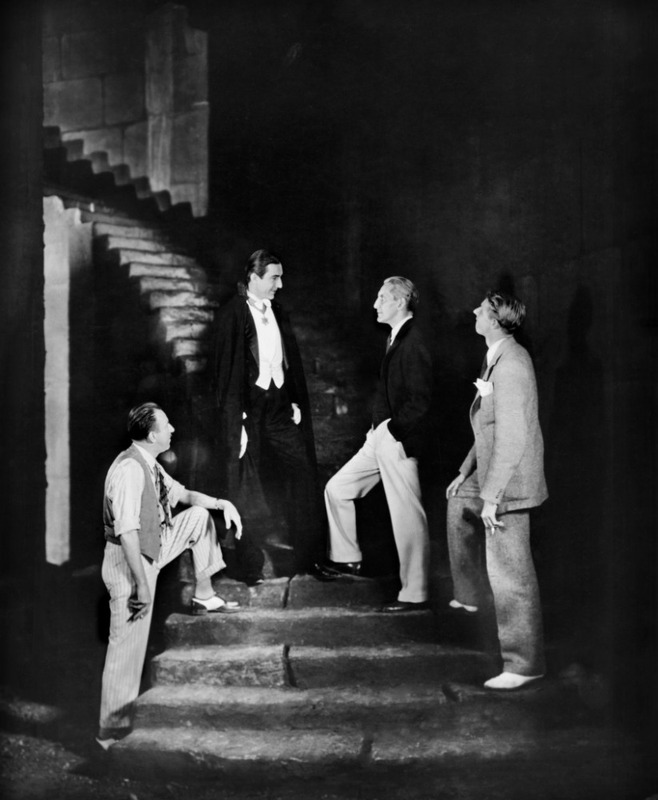 This entry was posted in Halloween, Holiday Tributes, Horror, Posts by Minoo Allen and tagged Bela Lugosi, Boris Karloff, dracula, Frankenstein, george waggner, halloween, happy halloween, horror genre, horror movie, James Whale, lon chaney jr, madhouse, peter cushing, the wolf man, todd browning, vincent price. Bookmark the permalink. One Response to Happy Halloween! So much fun. Bela had such a lovely smile.